"I now have much better confidence speaking English." The American Accent Software is great for everyone not just for Slavic speakers. I’m Latin and have the same problems speaking English. Ela’s accent improvement program is superior to others I have worked with in the past, which just focused on copying sounds. The easy to follow interactive video lessons, explain how to precisely move your mouth, tongue and jaw. So you can produce correctly every sound and then practice with many everyday examples. The frustration I felt earlier, about people understanding me has diminished. Speaking with an American pronunciation helps being better understood. ​I recently took five sessions with Ela Britchkow on Skype to improve my American English pronunciation. I also have downloaded her software to my laptop for everyday learning and practice. It was super useful and interesting. Make time for yourself! Do something new this year!​"
​The software is super useful and interesting. Make tie for yourself." "I had a perfect connection with Ela. That is why our classes were so much fun, productive, amazing and fantastic." Speaking with an American accent significantly helps with presentations. 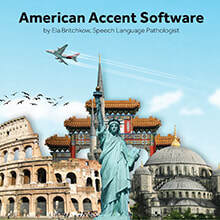 I purchased Ela Britchkow's accent reduction software a few months ago and I love how customer-friendly and interactive it is. My favorite feature is the recorder which enables you to record and play back your voice as you practice the pronunciation of words, phrases, and sentences. Dynamic interactive program designed to help second language learners improve their quality of speech. This a great program for anyone looking to become a more fluent English language speaker. If you are looking for employment advancement and markedly improved English conversational skills this is the program for you." "I can see the improvement in my accent which helps me to better consult with my clients." While I was looking for the classes to improve my accent, I found Ela’s Accent Modification Course. Over the course, Ela taught me how to pronounce the words correctly and helped me to modify my accent. It was a really great experience for me. I can see the changes in my accent and it helps me to consult with my clients better. I highly recommend Ela for your accent modification needs. She will help you to reach your goals." "An excellent service was provided by Ela Britchkow." 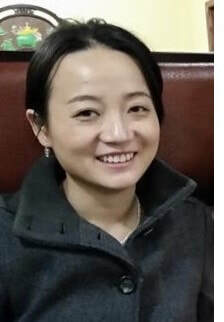 I wanted to find the right person who would provide a professional service. An excellent service was provided by Ms. Britchkow. I gained complete confidence in Ms. Britchkow's professionalism after the first skype session." "After the second session with Ela, several of my colleagues noticed a tremendous difference in the way I spoke English." noticed a tremendous difference in the way I spoke English." "Taking classes with Ela Britchkow, an Accent Modification Specialist, helped me to speak more clearly and reduce my accent." I have problems with American English pronunciation like many Russian speakers who came to the United States as an adult. Even though I have been living in the US for a long time, I still have problems with pronunciation and sometimes it’s hard to understand me. I lost my previous job because of my strong accent. During this training I was able to understand which sounds and speech patterns need to be improved, and learned the techniques that helped me to improve my speech. Thanks for reading our success stories. I always read reviews before I buy things too. If you have any questions let me know. 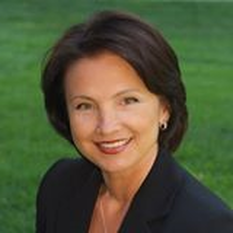 Ela Britchkow, speech language pathologist, certified Compton P-ESL, accent reduction specialist, with over 20+years experience. ​Ela offers, for all language backgrounds, effective, step by step, customized lessons for mastering English pronunciation. Learn the best accent reduction techniques for vowels, consonants, rhythm, stress, intonation and much more.